Home Faith Religious Life Is this set to become Australia’s finest cathedral? Is this set to become Australia’s finest cathedral? “Once in a lifetime project” is how project manager and site manager Allan Marsh describes working on the renovations of St Carthage’s Cathedral in Lismore. His design brief was simple: to future proof the cathedral for the next 300 years. That broad brief has so far included restoring the sanctuary and central altar area, and will culminate in the completion of the cathedral’s marble paving in line with the vision of original architect Herbert Wardell. “Just getting the cathedral prepared for the restoration work took consideration and care, like protecting and covering the 10 metre high organ pipes,” Mr Marsh says. Much like faith, restoring a century-old building is all about foundations. The cathedral’s foundations date back to 1905 and were long overdue to be reinforced. “We have adopted the heaviest level of construction that is currently available; it is a similar level to that used by the State Government in their construction of the Pacific Motorway,” he says. Work on the early 19th century building has been a personal and professional highlight for the project manager, whose father built the Anglican Church in Kyogle. Since April 2015, Mr Marsh has led a team of builders, demolishers, electricians, marble setters and plumbers. 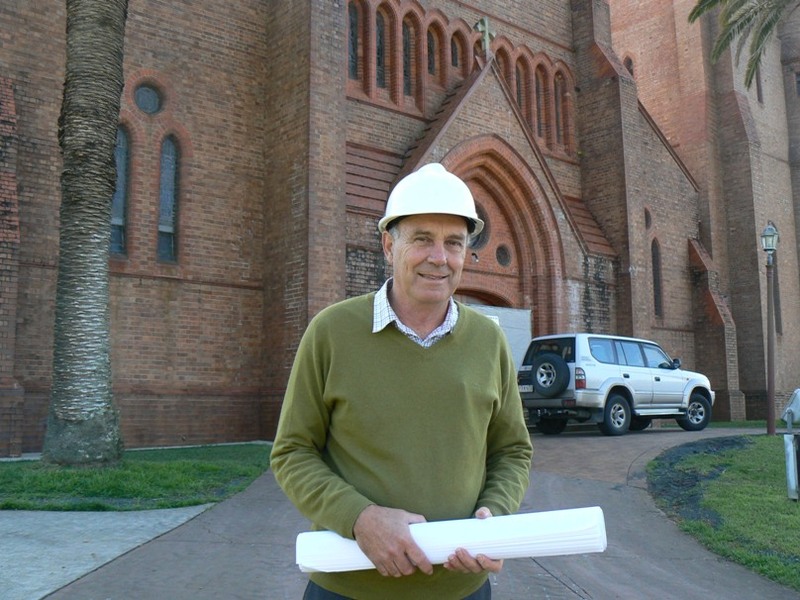 Cathedral restoration project manager and site manager Allan Marsh. The team is working to complete the cathedral as was intended by Mr Wardell, the son of great Australian architect William Wilkinson Wardell, who designed St Mary’s Cathedral, Sydney, St Mary’s Cathedral, Hobart, and St Patrick’s Cathedral, Melbourne. The influence of his famous father is evident in many features of Herbert Wardell’s design of St Carthage’s. At the dedication of St Carthage’s in 1907, the then Archbishop of Sydney, Cardinal Patrick Moran, said he “did not know, outside the great cathedrals of Melbourne and Sydney, any finer cathedral than St Carthage’s had been erected in Australia”. Mr Marsh, however, respectfully disagrees with the late cardinal. “When the work is finished, and I know it is a bold statement but I think it will surpass the features and appearance of St Mary’s Cathedral and St Patrick’s,” he said. The cathedral is due to be completed at the end of the year. 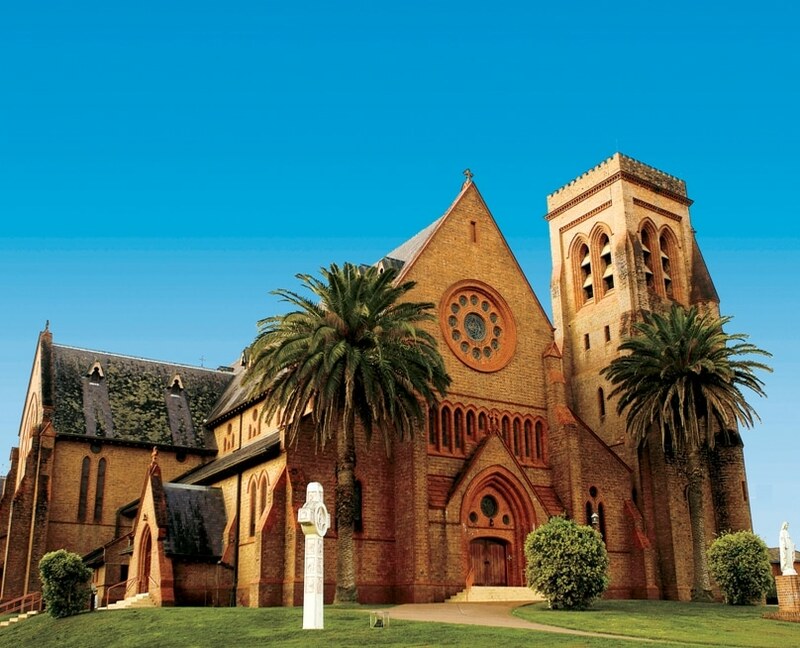 Have your say: Where is Australia’s finest Catholic cathedral?